Dupes are my gateway drug. Now when I say “dupe” I mean an item that is inspired — sometimes heavily– by another design. I’m not talking about a knock-off where a fake is meant to pass as the original. I stay away from these, myself. But a dupe is a great way to try out a design to see if it fits into your lifestyle before splashing out on the “real thing”. I’ve also found it’s a great way to enjoy a design you love that might not be in budget. 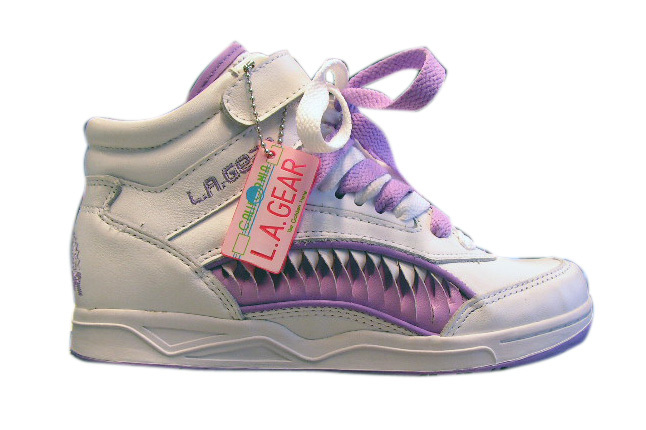 I’ve had my fair share of experience with inspired shoes ever since I was purchased my first pair of Pro Wings from Payless that duped the wildly popular, but far too expensive, LA Gears of my youth. I’ve purchased original designs because of how much I loved the dupe. I’ve ended up preferring the dupes over the original. I’ve bought dupes despite owning the originals because I was in love but didn’t want to shell out the cash. Long story short, controversial as many people find them, I think inspired items are splendid for dipping the toes in untested waters. Below are some of my favorite dupes for shoes. One of my best friends, who is also one of my fashion icons, tromped into grad school one day in the Frye Harness boot and I almost died. She is the epitome of motorcycle chic and was pairing leather and ripped jeans with ruffles and statement jewelry not long after Al Gore invented the interwebs. I didn’t think I could pull it off because I was just starting to find my edge. But one day, at Target, I stumbled upon these babies — lovingly referred to by me as my “Tryes”. And I wore them until the heels wore out. They fit so well into my lifestyle that when it came time to replace my Tryes, I bought the Fryes in not only the tanned leather but also the smooth black. Talk about a well-loved classic. Chanel flats seem to be everywhere. I am very picky about flats, having wide and flat feet that typically feel strangulated in most flats. No way was I going to shell out that kind of money for a shoe that would probably sever my toes. And, the style is not mine; very ladylike and pretty. I happened upon these cap-toes clones at Nordstrom Rack while looking for something else. But, with a more rounded toe and no bow, they were immediately comfortable and less dainty. A great shoe I gravitate toward and enjoy more than I would the Chanel’s. I mean, can you even with Gucci? The Princetown slides are the stuff dreams are made of and were one of my most worn shoe type last year. I spied the hot pink metallic loafer version on someone on Instagram and search obsessively without success. Imagine my glee when I discovered the Topshop version. I clearly needed to be sedated. And the loafers on the lower right from Topshop are the best dupe I’ve seen to date, are incredibly comfortable and are done in a color and leather treatment I’ve not seen Gucci do. I mean, the Gooch has my allegiance but some of these dupes are too good to pass up! Ooh, I loved these Stella McCartneys but I was not sure that I would wear them often enough to justify the price tag. There are a lot that look similar out there but most were a little too high or a little too clunky or a little go chintzy. These Morobe ones were just right, lighter-weight, full leather and about one-third the price. And I love the star detail on the toe bed. As much as I wear them, it stands to reason that I would splurge on the original. And I did end up trying on the McCartneys. Only to realize that I much prefer mine! Balenciaga’s sock boot. I’m just going to let you folks ruminate on the fabulosity in that statement. The Balenciaga. Sock. Boot. Despite just how beautiful and cool they are, I knew for a fact that these hooves were not going to spend any time in those heels. Thank goodness Zara and Steve Madden took pity and came up with these great alternatives. Now, for some of the best dupes I own. I love, love, LOVE the Valentino Rockstud shoes. I have never worn a more comfortable heel and they’re stunningly beautiful. Like jewelry on your feel. It’s really insane! Having the kitten heel and the flats, I wanted to get my hands on the burgundy cage flats. Alas, I missed out on this seasonal color but wasn’t excited about spending the coin on a color I’d ultimately be “settling” on. Add to that the inexplicable fact that review after review of the cage flats lamented how completely uncomfortable they are, I was even more hesitant. And my size never seemed to be available to try on. I can’t remember how I happened upon Kaitlyn Pan, but my jaw dropped. Comparing them to the originals, I cannot tell the difference. And they are leather and crazy comfortable. I still want the originals in burgundy and am keeping my eyes peeled. But these babies? Fire! The following are shoes I am considering but am not sure I would wear enough to warrant the expense. But I’ve found some that may fit the bill for me to try out the style. The Balenciaga cut out boot makes me live and die simultaneously and they’ve recently been released in burgundy (swoon) and white (sigh). I have loved them for years but hear-tell that they are not the most comfortable, especially since I’d want to wear them sockless most of the time. These from L’intervalle are the best dupe I’ve seen, even with the lug sole (which I tend to avoid). How fab would this boot be, the top buckle undone, with a ruffled, off the shoulder summer dress? The pearl detail in these Nicholas Kirkwoods are amazing and I think Jeffrey Campbell hit the nail in the head with their version. It’s actually a black bootie with the while pearls by JC that I’ve been eyeing up for months. Those pearls really make the shoe special. So whether you want to see if something a little wacky will fit into your lifestyle or if you just don’t have the cash for a style you love (or do and don’t want to spend it), dupes are great for dabbling in great design at great price points. So give it a whirl and me know what you find!